1. 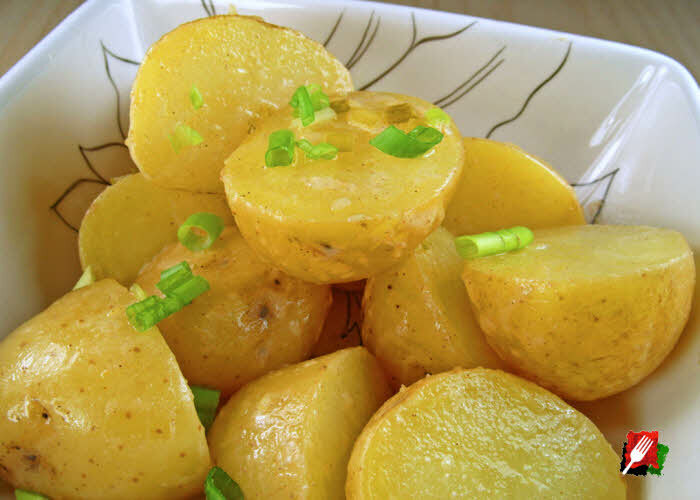 Cut baby potatoes in half, then boil for about 15 minutes or until tender. 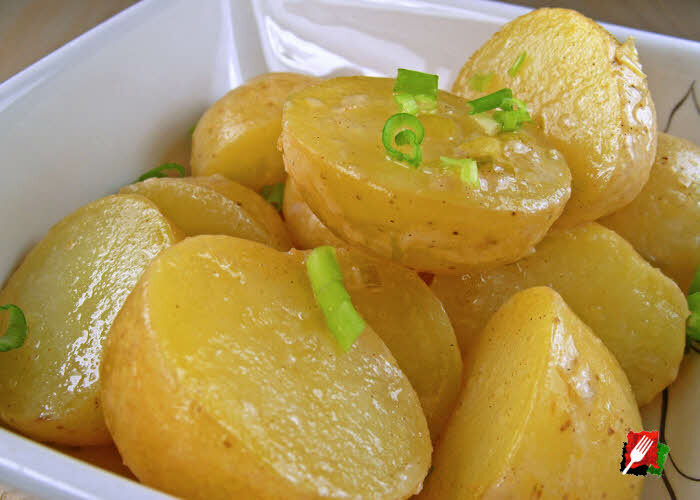 Drain potatoes, return to pan or add to a large bowl and cover. 2. 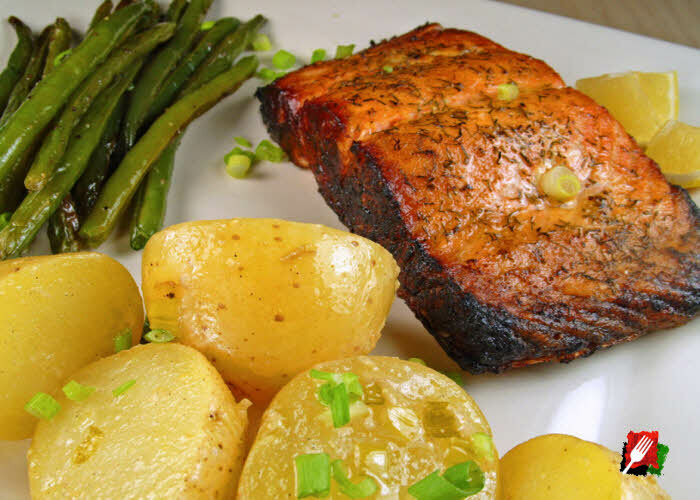 Make the lemon chive sauce by adding the butter, 1/2 of the chives, lemon juice, zest, salt, and pepper into a Pyrex measuring cup or other microwave safe container. Place in microwave on medium-high heat for 1 minute or until the butter melts. Mix thoroughly to combine, then pour the sauce over the potatoes and gently stir to coat. Garnish with the remaining fresh chives and serve immediately. 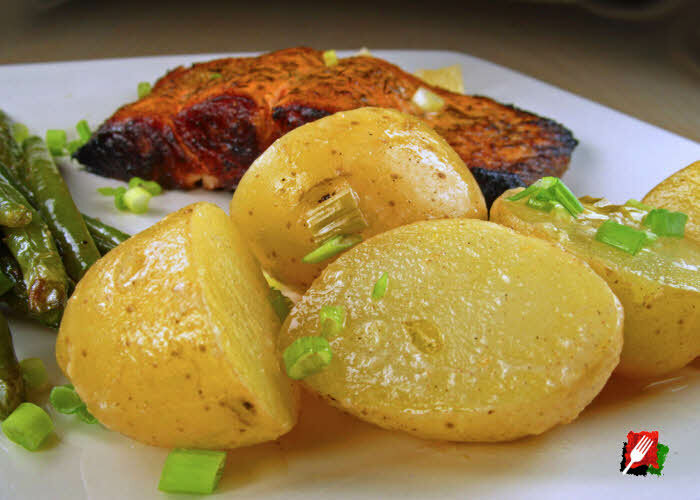 1The actual cooking time varies depending on the size of the potatoes and the temperature of your oven or grill. 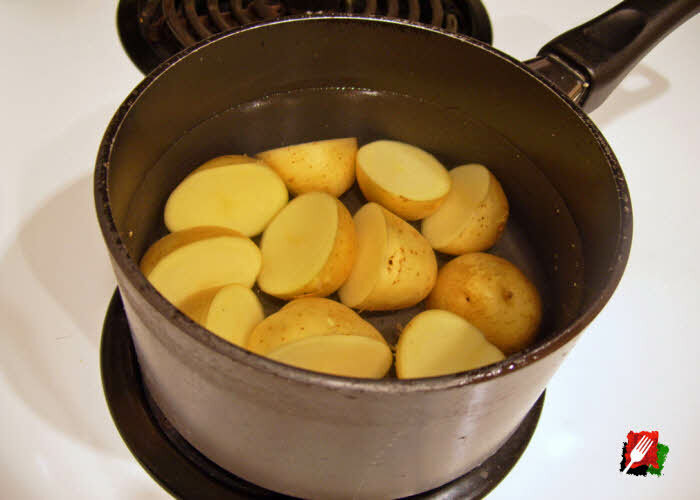 Adjust the cooking times and temperatures accordingly depending on how your prefer your potatoes to be cooked.